Shanklin Day Nursery and Pre-School | Healthy Eating Childcare Nursery Stoneygate, Leicester. We provide balanced, nutritious hot meals freshly prepared and cooked each day by our Nursery Cook, including home grown produce. We cater for all dietary requirements and also offer freshly prepared vegetarian meals daily. All children and staff sit together at meal times promoting social development, good eating habits and table manners. 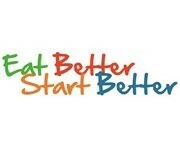 Our excellent cook has helped the nursery to achieve our ‘Eat Better Start Better’ healthy eating award. 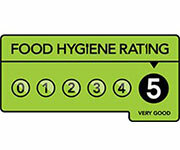 We are proud to boast ‘5 Stars’ for our Scores on the Doors rating (Leicester City Council) showing that we demonstrate a high compliance with food safety legislation. Shanklin Day Nursery also works in partnership with Leicester City Council to offer free tooth-brushing to all children in the Nursery to promote good oral hygiene and healthy teeth. We our one of the first Nurseries in Leicester to achieve our ‘Healthy Teeth Happy Smiles’ tooth brushing and oral health award.